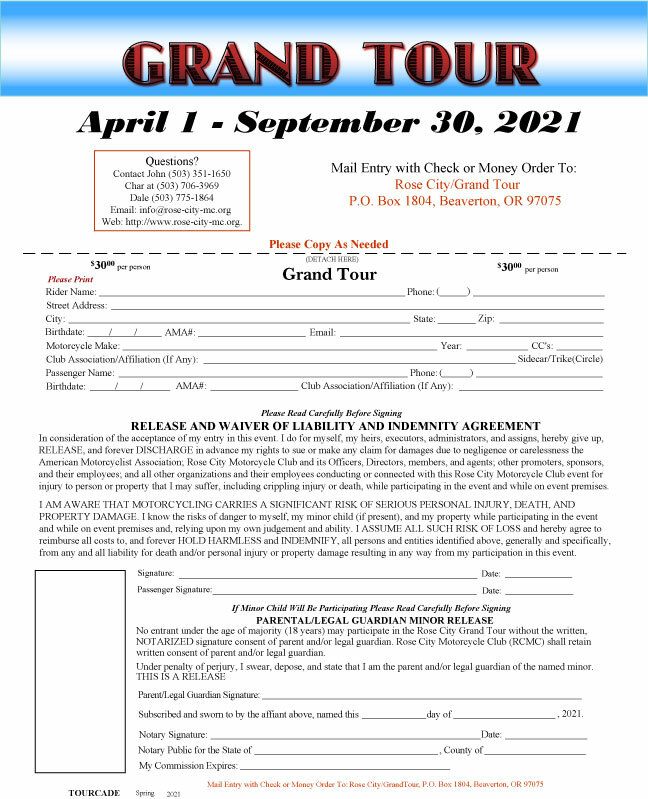 HERE IS HOW IT WORKS: Mail us your entry form (see below) with your entry fee. We will send you a Passport Book describing nineteen (19) checkpoints. Each page of the book represents one checkpoint. The names of the hosts, the phone number, directions to the checkpoint, hours it is open, and camping facilities are included on each page. A space at the bottom of each page is for validation of the books with a rubber stamp. Each checkpoint will have a unique stamp. You have six (6) months, from April 1 through September 30, in which to travel to as many checkpoints as possible. After completeing your tour, return your Passport Book to us. We will send you a Year Bar and Finisher's Pin, if needed. If for any reason you find a checkpoint closed, attached a receipt from any local business or picture of the checkpoint. Forgot your book? Have them stamp a piece of paper. Once you've finished 10 Oregon checkpoints, you can go out and earn 4 out of state (each out of state checkponts earns you an additional 2 chances). 10 checkpoints will earn for you one (1) chance to win, each additional Oregon checkpoint over 10 will earn you an additional chance; you can earn from 1 to 14 chances to win a prize in the Sweepstakes drawing in October. For however many chances you have earned, we will put that many tickets with your name on each into the drawing. 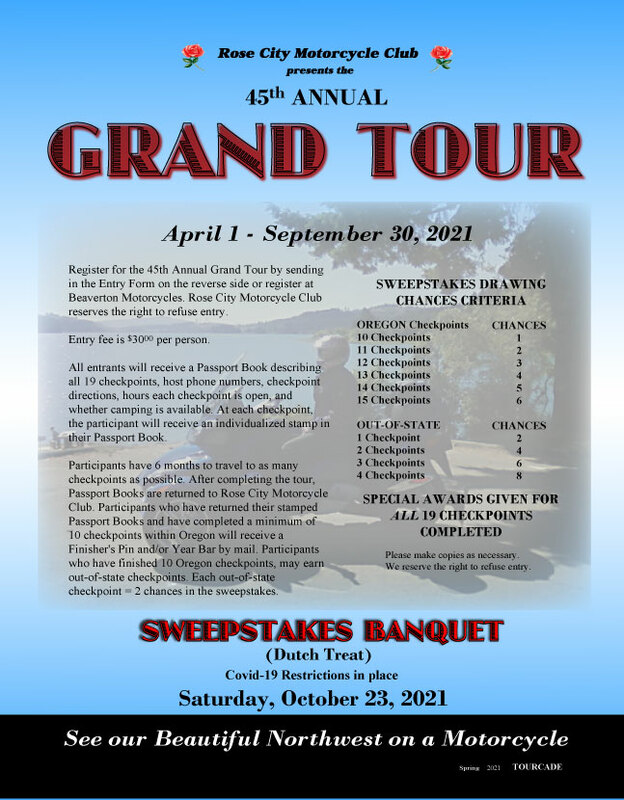 There will be a Sweepstakes Banquet (dutch treat) on Saturday October 26, 2019.